Have you noticed that we see olive trees and branches almost everywhere these days? 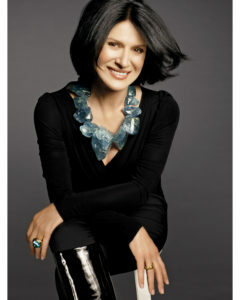 Pottery Barn has branches and wreathes, Williams’ Sonoma has dish sets designed around olives, and Paloma Picasso is designing an olive branch jewelry line for Tiffany. 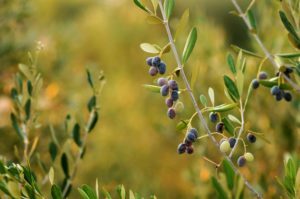 Perhaps, it is because olive trees are our passion here at My Olive Tree that we have noticed this growing interest in all things olive! What inspired the Olive Leaf collection? Our garden in Marrakech has an olive grove, and it was obvious that one day it would have an influence. The olive grove has 76 trees, which are at least 300 years old. And it is what attracted us to buying the house. An olive tree never changes, meaning that the leaves never fall off. It lives with you, and you have the beauty of the trees all year long. And when you get olives, you can make your own olive oil. We make about 100 liters [around 26 gallons] each season and give it away. In the collection, I tried to echo my feeling about the olive tree and how the leaves shimmer in the wind. There’s something dainty and delicate about them, but because of the size of the leaves, it’s still a big statement. I wanted to bring that quality to the pieces, and it took a lot of work, particularly the structure of the branch holding the leaves. Hopefully, it looks kind of free-form, like it grew by itself. But on the cuff, for example, we did about six different versions with different variations of openness and spacing of the leaves before we got it right. What is the significance of the olive? Often when you see a dove, which is a symbol of peace, it’s holding an olive branch. Olive trees are also linked to peace, which is something we all need more of today. 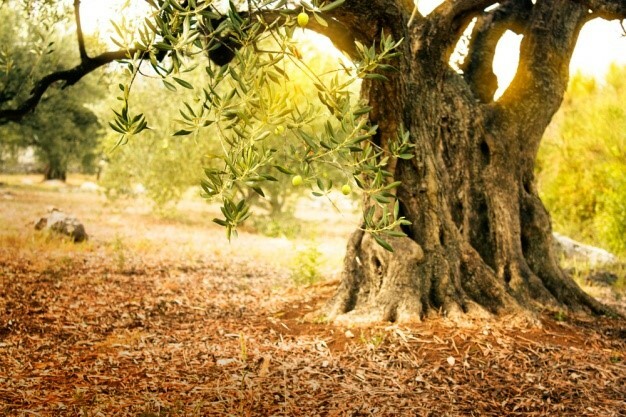 At My Olive Tree we love to see a growing interest in olive trees and the peace they symbolize. 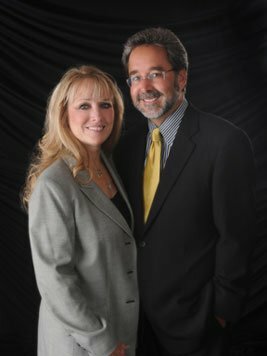 For us, they are so much for than a tree, a dish pattern, or jewelry—they are a sign of hope, peace, prosperity, and a future for the nation of Israel. You can find out more about our Peace Grove and see a special video when you CLICK HERE.